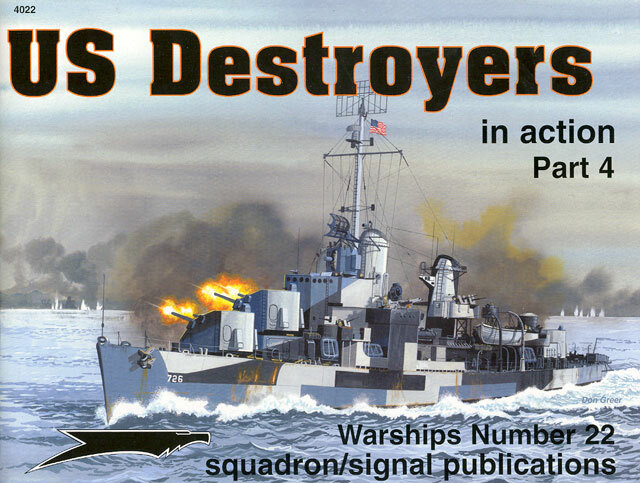 Squadron continues its examination of US Destroyers in these two recently released titles. Both are presented in the familiar and effective In Action format, with 50 pages between their soft covers, plenty of photographs, useful captions, summary text, line drawings and detail views of identifying characteristics. Each book also feature six attractive colour profiles as the "centrefold", with a good selection of the sometimes stark colour schemes applied to these ships. Two profiles in each book also include port and starboard side views of the camouflage schemes. Don Greer adds more colour with his artwork on the cover and an additional two on the back. 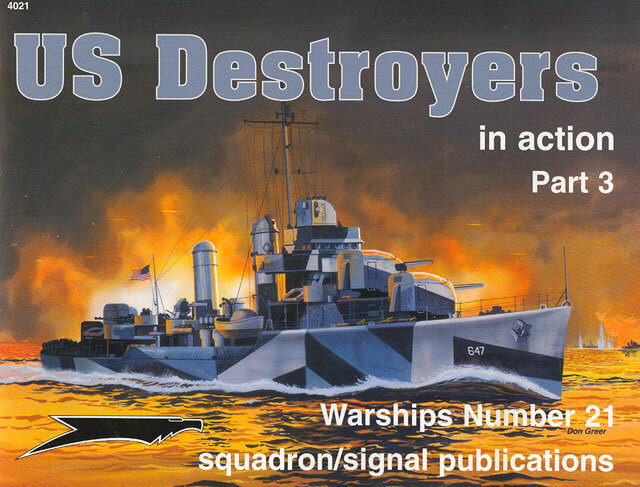 Each of these books provides a great introduction to their allotted destroyer classes, with ample inspiration and reference for modellers. At less than USD$9.00 each, they do not represent a great financial hardship either!